Spending eight weeks travelling through Italy visiting wineries can be pretty challenging. As if it isn’t difficult enough that outside of the cities and towns there are no street names – and in many cases addresses are simply designated as an area which includes a great many roads – there is little to no directional signage. Add to this the poor quality of the maps on my navigation software, and you get a situation where I was rarely early to an appointment, and in one case couldn’t find the winery at all. After the first few days in Spain I am concerned that this will be the case again. Some countries do wine tourism a little better (Australia, USA, France), some less so (Argentina, Germany), and some have almost none at all (Chile, Italy). The good countries have directional signage towards a region, and then within the region they have directional signage to every winery that welcomes visitors. Some regions are more advanced than others, and include such information as distances, but at a minimum they have signs at every major turn. It goes without saying that at the wineries they have signs indicating that ‘yes, the winery is here and we are open for business’. This is less common in Europe, perhaps as they are considered a little flashy, but they are in fact a necessity. The issues of addresses seem similar in Spain to that of Italy and thus knowing and providing GPS coordinates is almost the only recourse to avoid potential visitors getting lost. To any winery I am visiting for the rest of my trip who may be reading this, I urge you to send me the GPS details so that I am not late and we can make the most of our time together. 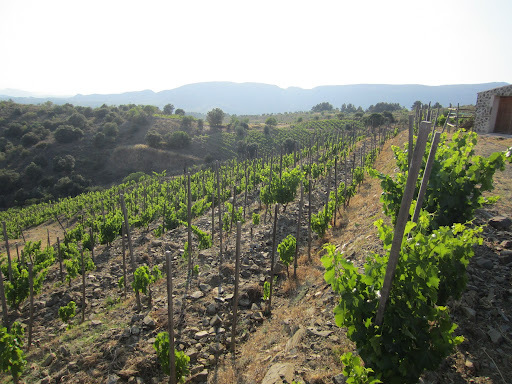 With the boom of Priorat beginning in the mid-90s, there was a significant amount of interest and investment put into the region. In some cases this investment came from other Spanish wine companies looking at extending their portfolios, such as Torres or Freixenet. Other investors did not come from the wine business, but were great lovers of wine and recognised the potential in the region. One interested party was a group from Belgium who decided to establish Bodegas Mas Alta, a winery that is located near the small village of Vilella Alta. Initially the wines were made by a Bordeaux consultant, who naturally advised them to plant Bordeaux varieties like cabernet sauvignon and merlot. Unhappy with the wines, they engaged famed Rhone Valley negociant Michel Tardieu, whose son I met when I visited and actually recommended the estate. Familiar with the varieties and also recognising the history of them in the region, he dramatically converted the majority of the vineyards to grenache, carignan and some syrah. This was a very smart move, as of course he is more experienced making wines from this variety, but at the time there was a shift back towards them from other vintners who continued to receive acclaim for the wines. 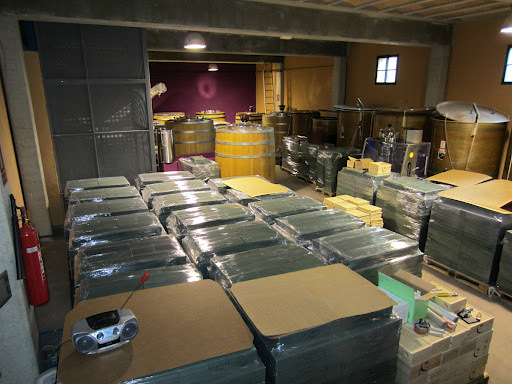 A new winemaking facility was also built down in the valley next to the town, where the fruit is transported to be vinified and bottled. When Michel took over the consulting of the winery, he recommended a young winemaking couple – one from Montpelier and the other from the Basque part of France – to take over the operation of the winery. Diane and Bixente met whilst studying at Montpelier, and both speak Spanish, Catalan and English as well as French. Diane probably also speaks some German as her father is from the Mosel, and coincidentally is also a winemaker. Much like Bastien, Diane gained experience in Australia working a vintage at Mount Langi Ghiran at the age of 20, before she had decided to study winemaking. She took me high up above the village into the vineyards, most of which are very young, but there are some older carignan vines they are leasing. My first tasting in a vineyard on my trip showed me the range of wines they are producing, all with a Catalan name, mostly referring to the vineyard. There is a Southern Rhone Valley style to the expression, but the wines have a character I am starting to see in the wines from this region, an exuberance and freshness of dark fruit, with firm yet velvety tannins and balanced alcohol. The quality is unmistakable, as is the ageing potential. Click here to read my notes on the tasting. Priorat is a small region, and there is a real community atmosphere amongst many of the winemakers, almost like an extended family. 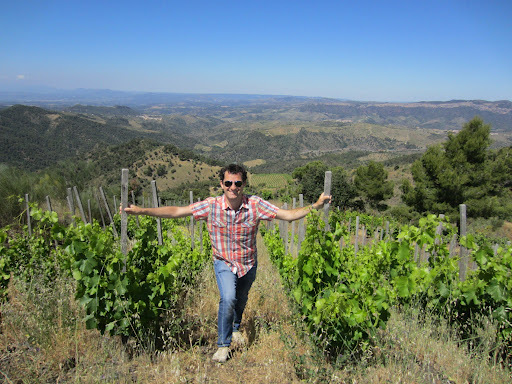 When the son of Rene Barbier married the daughter of another Priorat pioneer Josep Lluis Perez, it heralded that the future in this region was certainly bright. Rene works with his father on a range of projects, and Sara has her own winery called Mas Martinet. The vineyards she sources from are on the border of Priorat with Montsant, the Denominacion Origen that surrounds the castle like hills of Priorat similar to a moat. In fact the vineyards are technically in Falset, which is the largest village in the area, and used to be the name of the subzone of the Terragona region that Priorat and now Montsant were part of. Sara has some very radical ideas about viticulture, particularly in comparison with her father. He is a pure agriculturalist, observing the vines and controlling the yields through canopy and crop management based on the vigour of each individual vine. Sara on the other hand is more a geologist and focuses her attention on the soils’ ensuring they have enough moisture, nutrients and moderated temperatures that will balance the vine health and yields subsequently. 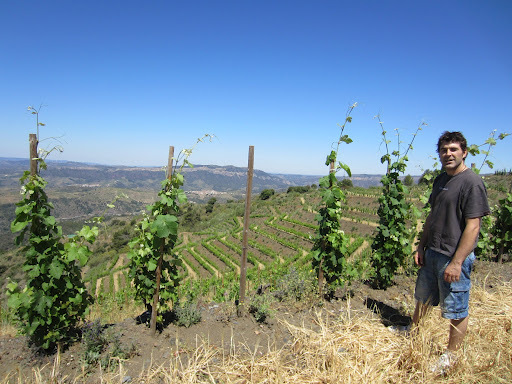 Some of her vineyards are planted up to 600m, some of the highest altitudes in the Priorat DOQ. Her Sales Director and right-hand man in the winery, Magi Batllevell who is actually from Falset, showed me the vineyards winery and a tasting. We started by driving high up into the hills around the home-base where there are commonly cool breezes blowing throughout the vineyard. 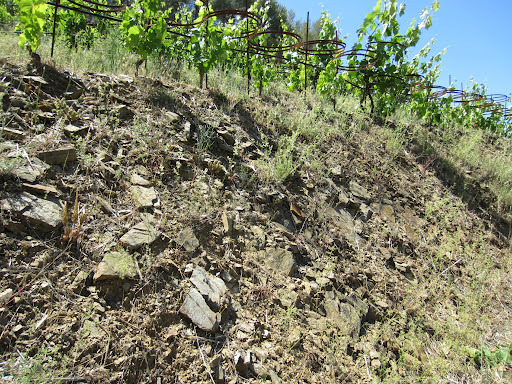 On the sides of the south-east facing slopes there are three systems of planting in use; Roman, Greek and French. They are chosen based on the variety and specific block, to take advantage of limited space due to the steepness, and the contours of the hill. In the lower vineyards like the Clos Martinet where it gets very hot and dry, Sara has introduced hay/straw on the ground to try to stop as much evaporation as possible, and to limit temperature spikes in the soil. She uses an interesting trellising system in some of the lower vineyards; two metal rings are placed on a metal post, with the top one movable, and as the new shoots grow the top ring is raised to support the canopy. Sometimes cordons are made on the bottom ring rather than a straight cordon on a wire, which is an intelligent use of space and it still opens up the canopy in virtually the same way. As I tasted through the wines, I was astonished at the concentration of the wines but more importantly the very delicate touch Sara has in her winemaking. She minimises the use of oak, and is quite gentle in her macerations, which coalesce in very silky opulent and generous yet well structured wines. Her 2008 Clos Martinet is the first of what I hope will be many wines to get me really excited about in Spain. Not content to rest on her laurels, she is always looking at new techniques and research to improve her wines, and she has secreted something down in the cellars that I’m not allowed to talk about, but look forward to seeing the results of in the future. Click here to see my notes on the tasting. 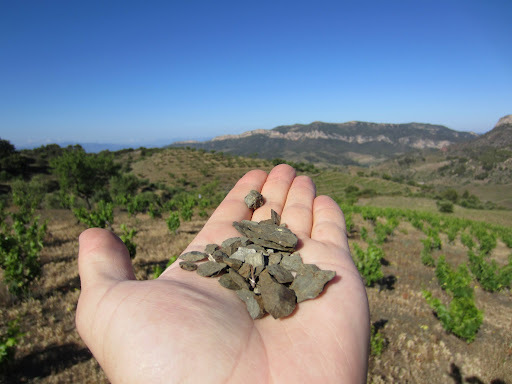 As I mentioned earlier, there is a lot of investment going on in the Priorat region. Along the ridge by the road between Gratallops and Vilella Baixa there have been a few wineries built over the past few years, all quite flash and eye-catching, as well as one that has recently been built into the side of the hill. One of these newer wineries is Buil & Gine that sits underneath the famous Ermita of Gratallops. Investment has come from within Catalunya but from a family of food retailers, and has been pretty extensive; vineyards, winery, equipment, visitor centre, branding and merchandise. Like most of the region, 90%+ is exported, which makes their choice to not only open a tasting room but also a restaurant and a B&B very interesting, as the region does not yet have a thriving tourism industry. I was very ably shown around some of the vineyards, the winery and wines by Pilar (emphasis on the second syllable), where I also met the winemaker Xavier Matallana i Julia. 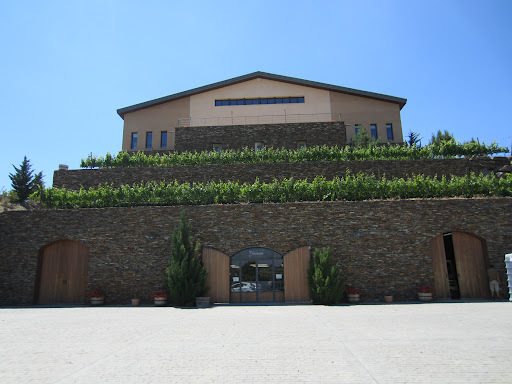 The winery is using many modern techniques to make the wines, and it shows in the wines as they are all very clean, fruit-driven and fresh. In my opinion the wines are a reflection of the modern-Spain; clinically made easy-drinking, fruit-fresh wines that are good value wines without a sense of place. The wines could come from any number of places, and don’t necessarily represent Priorat the way that others do. They are certainly well priced for the region, but with so many emerging places for wine and the quality improving across the country it may become more difficult to compete. There is no doubt the fruit is very good, I just think they could get more character out of the wines. The winery is lovely and modern, and the welcome was very warm. Click here to read my notes on the wines tasted. My final visit for the day was with the last member of the triumvirate of invaders in the late-80s; Swiss-born Daphne Glorian. Her parents thought she was crazy to come to Catalunya and buy some property for vineyards, but she was hooked. She had been introduced to wine by a merchant she worked for in the UK, where she was introduced to her first passion, Burgundy. She took every opportunity she could to learn about the region, and worked in wineries to learn about winemaking. After the fateful meeting with Rene, she came to Priorat to make her mark, but with her experience in Burgundy, Rene’s in Bordeaux, and Alvaros in Rioja, they each had (and still have) their own interpretations and techniques. The major thing they have in common – apart from the desire to make great wine – is their care and attention in the vineyards. They all use sustainable practices taken from organic and biodynamic principles, without necessarily considering themselves as such. 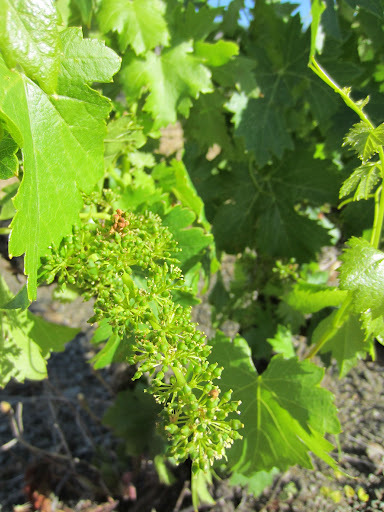 They also don’t irrigate their vineyards, which leads to such small and concentrated berries. Firm believers in biodiversity, they plant other forms of vegetation to encourage natural pest and disease resistance. Their vineyards are also all hand tended, apart from the mules that hoof-tend the vineyards. This can be an inhospitable landscape, which is why they are all so close to each other, and work so hard in the vineyards and the wineries. Initially Daphne like Rene found it difficult for Spanish/Catalan people to take their Priorat wines seriously, as the golden age of the region when there were thousands more hectares planted and they were considered the best in Spain, had long since passed out of memory. Undeterred by being continually laughed-away, Daphne sent a sample to Eric Solomon, possibly the most important wine merchant in the United States, who at the time almost exclusively worked only with French wines. When he showed definite interest and asked how much she produced, he was amazed and delighted that she only made a few thousand bottles and promptly took the lot. From here the business and acclaim grew, receiving outstanding reviews and scores from the likes of Wine Spectator, and even as she increased production she has never been able to supply the intense demand for her wines around the world. Whilst she used to make her wines in the same facility as Rene and Alvaro, she now leases a small facility in the middle of Gratallops, where she makes her wines very unassuming and elegantly. She spends around four months of her year here, with the remainder of her time travelling to promote the wines and also with her original and still importer Eric in the United States, who she married. Considering she only produces a few thousand bottles of the Clos Erasmus wine each year, and doesn’t even have enough to export to Australia (a huge shame), I was honoured to have the chance to taste both the Laurel (the English translation of her name) and the Clos Erasmus both from the 2010 vintage. It was much easier for me to see why her wines are considered some of the best in Spain than it was with Alvaro’s wines, as there was elegance, delicacy, approachability and yet a very deep and intense core of fruit that will open up beautifully over the coming decades. It really is a shame that she can only keep about 60 bottles per year, and that she has only been making it for about 15 years, as a vertical tasting of this wine would be awesome. After the visit Daphne was nice enough to take me to dinner at the only decent restaurant in Gratallops, and we enjoyed a bit more of the wine over some good food and conversation. Click here to read my specific notes on the two wines. Click here to see more photos from Day Two in Priorat, Spain. Tomorrow I head out of the hills into the Montsant DO. Very true, and it isn't even that complicated to work out your position, you just need Google Maps! !Thanks for the comment Vinalogue, always welcome.